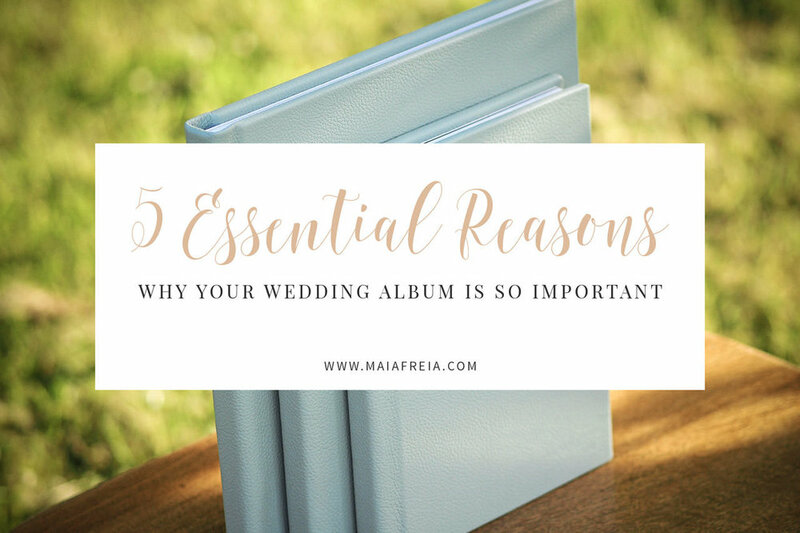 5 Essential Reasons Why Your Wedding Album is so Important. Wedding album - the culmination of all the wonderful memories of the day presented in a beautiful book that tells the story for a lifetime. A wedding day is always more like an imaginary world than a day to day reality, and we are prepared to be fascinated by its magical powers and it’s outward charm. Weddings are made to bring a little fairytale into our reality for a few hours or few days in our lives. If those happy moments are not captured and preserved for a lifetime, our fairytale would become just another long-forgotten story that nobody heard of. A wedding album is the only way we could make our wedding memories eternal in this digital age. Here are 5 essential reasons why your wedding Album is so important. What are those things that have continuous value once your wedding ends? Two things that remain forever after your wedding are your wedding bands and wedding photographs. Between the two, your photographs are the one that needs special attention and care. If you save your wedding photographs on an iPad, disc, laptop or USB drive, there is no guarantee that they will be around 5 to 10 years from now. Technology is ever evolving, and these gadgets will be replaced by something more innovative in a few years time. Therefore, your wedding photographs are very vulnerable in soft form. It is not easy to transfer pictures each time some new technology takes over and there is no assurance that the new operating systems will read or open old files. If you preserve your pictures in a wedding album, it will last forever. You can pick it up at any point in life and the photos will be there to take you back in time. 02. The Fine Art Wedding Album is absolutely fabulous! A wedding album becomes a treasured family heirloom and a relic from your past as your children, and then your grandchildren come into this world. Imagine what a beautiful moment it will be when one day you will be sitting with your grandchildren with the album in your hands, telling tales from the wedding and reminiscing about those wonderful moments. It is surely something you will leave behind to be fondly remembered by your family. There is no reason you should not eternally enshrine those mesmerising moments when you formed the glorious bond of marriage with your soul mate. Albums are not something that can be programmed from a computer. There is serious craftsmanship involved and all of the intricate detailing and artwork is handcrafted. Artwork always holds its significance amongst digitally created pieces as it is made with bare hands with lots of love and care. So whenever you hold any artwork, especially your own wedding album, it gives you a sense of entitlement and nostalgia. Our albums come in a variety of colours and covers are made with linens, silks and leather to match your wedding's theme perfectly.All albums are custom designed for you, by us. They have that royal touch to them which is reminiscent of the glory of your wedding and holding them in your hands is a pleasant experience as they revive the inner happiness you felt at your wedding. They are printed, mounted, and bind in the UK by one of the top album Lab in the wedding industry. Looking for a Kenyan Beach Wedding Photographer?